Adult-acquired flatfoot (AAF) is the term used to describe the progressive deformity of the foot and ankle that, in its later stages, results in collapsed and badly deformed feet. Although the condition has been described and written about since the 1980s, AAF is not a widely used acronym within the O&P community-even though orthotists and pedorthists easily recognize the signs of the condition because they treat them on an almost daily basis. AAF is caused by a loss of the dynamic and static support structures of the medial longitudinal arch, resulting in an incrementally worsening planovalgus deformity associated with posterior tibial (PT) tendinitis. Over the past 30 years, researchers have attempted to understand and explain the gradual yet significant deterioration that can occur in foot structure, which ultimately leads to painful and debilitating conditions-a progression that is currently classified into four stages. What begins as a predisposition to flatfoot can progress to a collapsed arch, and then to the more severe posterior tibial tendon dysfunction (PTTD). Left untreated, the PT tendon can rupture, and the patient may then require a rigid AFO or an arthrodesis fixation surgery to stabilize the foot in order to remain capable of walking pain free. Perform a structural assessment of the foot and ankle. Check the ankle for alignment and position. When it comes to patients with severe PTTD, the deltoid has failed, causing an instability of the ankle and possible valgus of the ankle. This is a rare and difficult problem to address. 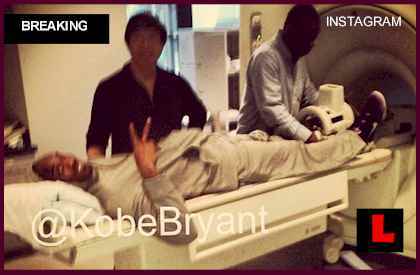 However, if one misses it, it can lead to dire consequences and potential surgical failure. Check the heel alignment and position of the heel both loaded and during varus/valgus stress. Compare range of motion of the heel to the normal contralateral limb. Check alignment of the midtarsal joint for collapse and lateral deviation. Noting the level of lateral deviation in comparison to the contralateral limb is critical for surgical planning. Check midfoot alignment of the naviculocuneiform joints and metatarsocuneiform joints both for sag and hypermobility. The Achilles tendon connects the calf muscles in the lower leg to the heel bone. It is the largest yet most exposed tendon in the body. Achilles tendonitis is where the Achilles tendon, and sometimes the protective sheath through which it moves, becomes inflamed, causing pain and swelling symptoms. Achilles tendonitis (also known as Achilles tendinopathy or tendonosis) is classified as an overuse injury. 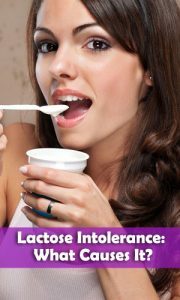 If left untreated it can become chronic (long-term), requiring more intensive treatment. Achilles tendonitis can also increase the risk of sustaining an Achilles tendon rupture (tear). Achilles tendinitis may be caused by intensive hill running, sprinting, or stair climbing. Overuse resulting from the natural lack of flexibility in the calf muscles. Rapidly increasing intensity of exercise, especially after a period of inactivity. Sudden and hard contraction of the calf muscles when exerting extra effort, like that in a final sprint or high jump. The best treatment for Achilles tendonitis is preventative, stretching and warming up properly before starting an activity. Proper rest, accompanied by stretching and icing to reduce swelling, can help to heal an overworked Achilles tendon. Placing an adequate heel lift in both shoes will allow the heel to have contact with the ground without placing stress on the Achilles tendon. Wear a tie shoe that is stiff soled and has a wide base, then add an over-the-counter or custom foot orthosis inside the shoe to prevent the twisting motion of the Achilles tendon due to over pronation. In the event that the tendon is unable to heal due to your life style or activity, you may have to be put in a walking cast for a short period to give it a chance to heal. You need to have the doctor, physical therapist, or come in to our facility to check for a leg length difference due to the walking cast being higher. This is to prevent any discomfort to the hips. After the tendon has healed and before the foot is taken out of the walking cast, range of motion at the ankle must be tested and if the foot is not allowed to properly bend upwards 15 degrees then the tightness in the calf will cause the foot to over pronate and reinjure. A stretching program will be needed to loosen up the calf muscle before much weight bearing is done without the cast. The stretching program can be found at the menu for feet hurt. If necessary a heel lift can be put in both shoes to help take the stress off the tendon. Should the tightness of the calves be the primary cause for the Achilles tendon damage and stretching has not loosen the Achilles tendon sufficiently, then discussion with your doctor for a calf release may have to be considered. Stretching of the gastrocnemius (keep knee straight) and soleus (keep knee bent) muscles. Hold each stretch for 30 seconds, relax slowly. Repeat stretches 2 - 3 times per day. Remember to stretch well before running strengthening of foot and calf muscles (eg, heel raises) correct shoes, specifically motion-control shoes and orthotics to correct overpronation. Gradual progression of training programme. Avoid excessive hill training. Incorporate rest into training programme. Plantar fasciitis is a very common condition resulting in pain under the heel which often radiates into the foot. We explain free of charge everything you need to know to cure your pain and prevent it from returning. When a patient has plantar fasciitis, the connective tissue that forms the arch of the foot becomes inflamed (tendonitis) and degenerative (tendinosis)--these abnormalities cause plantar fasciitis and can make normal activities quite painful. Symptoms of plantar fasciitis are typically worsened early in the morning after sleep. At that time, the arch tissue is tight and simple movements stretch the contracted tissue. As you begin to loosen the foot, the pain usually subsides, but often returns with prolonged standing or walking. Your GP or podiatrist (a healthcare professional who specialises in foot care) may be able to diagnose the cause of your heel pain by asking about your symptoms and examining your heel and foot. 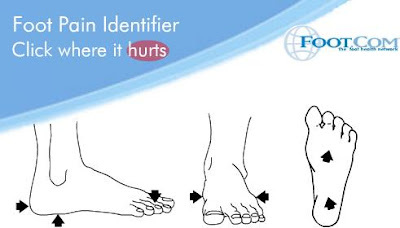 You will usually only need further tests if you have additional symptoms that suggest the cause of your heel pain is not inflammation, such as numbness or a tingling sensation in your foot, this could be a sign of nerve damage in your feet and legs (peripheral neuropathy) your foot feels hot and you have a high temperature (fever) of 38C (100.4F) or above - these could be signs of a bone infection, you have stiffness and swelling in your heel, this could be a sign of arthritis. Possible further tests may include blood tests, X-rays - where small doses of radiation are used to detect problems with your bones and tissues, a magnetic resonance imaging (MRI) scan or ultrasound scan, which are more detailed scans. Exercises designed to stretch both your calf muscles and your plantar fascia (the band of tissue that runs under the sole of your foot) should help relieve pain and improve flexibility in the affected foot. A number of stretching exercises are described below. It's usually recommended that you do the exercises on both legs, even if only one of your heels is affected by pain. This will improve your balance and stability, and help relieve heel pain. Towel stretches. Keep a long towel beside your bed. Before you get out of bed in the morning, loop the towel around your foot and use it to pull your toes towards your body, while keeping your knee straight. Repeat three times on each foot. Wall stretches. Place both hands on a wall at shoulder height, with one of your feet in front of the other. The front foot should be about 30cm (12 inches) away from the wall. With your front knee bent and your back leg straight, lean towards the wall until you feel a tightening in the calf muscles of your back leg. Then relax. Repeat this exercise 10 times before switching legs and repeating the cycle. You should practise wall stretches twice a day. Stair stretches. Stand on a step of your stairs facing upstairs, using your banister for support. Your feet should be slightly apart, with your heels hanging off the back of the step. Lower your heels until you feel a tightening in your calves. Hold this position for about 40 seconds, before raising your heels back to the starting position. Repeat this procedure six times, at least twice a day. Chair stretches. Sit on a chair, with your knees bent at right angles. Turn your feet sideways so your heels are touching and your toes are pointing in opposite directions. Lift the toes of the affected foot upwards, while keeping the heel firmly on the floor. You should feel your calf muscles and Achilles tendon (the band of tissue that connects your heel bone to your calf muscle) tighten. Hold this position for several seconds and then relax. Repeat this procedure 10 times, five to six times a day. Dynamic stretches. While seated, roll the arch of your foot (the curved bottom part of the foot between your toes and heel) over a round object, such as a rolling pin, tennis ball or drinks can. Some people find that using a chilled can from their fridge has the added benefit of helping to relieve pain. Move your foot and ankle in all directions over the object for several minutes. Repeat the exercise twice a day. Causes can be by one or a combination of foot activity overloads. Jogging, climbing, or walking for extended periods puts too much stress on the plantar fascia. But even routine, non-athletic activities such as moving heavy furniture can set off pain. Some kinds of arthritis are also attributed to plantar fasciitis. Certain arthritic conditions cause the tendons of the heel to swell. Diabetes is also a culprit- there is still no explanation why, but studies have repeatedly shown that diabetics are more prone to developing plantar fasciitis. In some cases, plantar fasciitis is triggered by shoes of poor quality or shoes that do not fit. Those with thin soles, no arch support, and no shock-absorbing properties, for example, do not five feet enough protection. Shoes that are too tight and those with very high heels can also cause the Achilles tendon to tighten, straining the tissue surrounding the heels. In general, we start by correcting training errors. This usually requires relative rest, the use of ice after activities, and an evaluation of the patient's shoes and activities. Next, we try correction of biomechanical factors with a stretching and strengthening program. If the patient still has no improvement, we consider night splints and orthotics. Finally, all other treatment options are considered. Non-steroidal anti-inflammatory medications are considered throughout the treatment course, although we explain to the patient that this medicine is being used primarily for pain control and not to treat the underlying problem. It is not always possible to prevent heel pain, but there are measures you can take to help avoid further episodes. Healthy weight. Being overweight can place excess pressure and strain on your feet, particularly on your heels. This increases the risk of damaging your feet and heels. If you are overweight, losing weight and maintaining a healthy weight by combining regular exercise with a healthy, balanced diet can be beneficial for your feet. You can calculate your body mass index (BMI) to find out whether you are a healthy weight for your height and build. To work out your BMI, divide your weight in kilograms by your height in metres squared. A BMI of less than 18.5 means that you are underweight, 18.5-24.9 means that your weight is healthy, 25-29 means that you are overweight, 30-40 means that you are obese, over 40 means that you are morbidly obese. You can also use the BMI healthy weight calculator to work out your BMI. Healthy feet. You should always wear footwear that is appropriate for your environment and day-to-day activities. Wearing high heels when you go out in the evening is unlikely to be harmful. However, wearing them all week at work may damage your feet, particularly if your job involves a lot of walking or standing. Ideally, you should wear shoes with laces and a low to moderate heel that supports and cushions your arches and heels. Avoid wearing shoes with no heels. If changing your shoes isn't helping to solve your foot pain, it is time for us to step in. Contact Dr. Jeff Bowman at Houston Foot Specialists for treatment that will keep your feet feeling great. Inserting arch support insoles in the shoes is also a good option. Another solution is to wear custom foot orthotics, like ezWalker ® Performance Custom Orthotics, in your shoes to help correct your body posture, stabilize your balance, relieve pain during follow-through and evenly redistribute your weight on your feet. EzWalker® Custom Orthotics are specifically made for each of your feet to properly support your arches while reducing pressure on the balls of your feet. With ezWalker® Custom Orthotics, you'll walk from lateral heel to medial forefoot for better biomechanics of your entire body. This condition manifests as a skin lesion that assumes a ring-like pattern. It can affect any region of the body, right from the scalp to the foot. One such common home remedy is the use of bleach. Many people claim that this is a very effective ringworm treatment. During the average lifetime our feet cover over 70,000 miles, the equivalent of walking four times around the world., so it's not surprising that problems can occur. Indeed around three-quarters of all adults will experience some sort of problem with their feet at some time. And without treatment most foot complaints will become gradually worse with time. This means people often endure painful conditions for far too long, and the problem can get worse. People often assume nothing can be done to help their condition, but in fact these conditions are extremely treatable. Swollen lump on big toe joint; lump may become numb but also make walking painful. You may have plantar fasciitis, a painful condition that is very common in runners or people who stand on their feet for long periods. Foot pain can inhibit a person from doing even the simplest activities, such as playing on the beach, washing dishes, or taking a walk with family members. Kids can experience foot pain for a lot of reasons. Sometimes you may feel as if your feet is on fire. 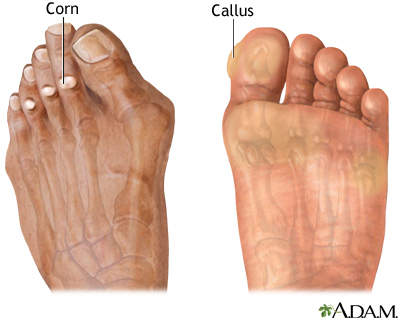 Corns can form under a callus on the ball of the foot which will be very painful. You must concern with doctor regarding the pain or the issue behind this foot pain. One of the common factors behind foot pain is your designer shoes. If any kind of doubt strikes in your mind, concern with an expert foot surgeon or health professionals. Ignorance of any foot pain only causes trouble to your own health and fitness. Denial Bob is associated with , and writes more about foot pain and the treatment mentioned by foot surgeon. The pain from stress fractures usually decreases with rest and increases with activity. Apply ice to the foot and take an over-the-counter anti-inflammatory medicine to relieve pain. Your pain may be from DAMAGE TO THE SKIN OR TENDONS on top of the foot. See your doctor if the pain doesn't get better within a few days. Apply ice to reduce the swelling and take an over-the-counter analgesic such as ibuprofen to help relieve pain. See your doctor if your pain doesn't get better. Blood glucose levels under control: Meal planning, regular blood glucose monitoring, substantial activity and right diabetes medications including insulin can all go a long way toward relieving the pain associated with the nerve damage. Look them over: Provide your feet a careful going-over every night to make sure that you haven't developed a cut, scrape, sore, blister or any other tiny problem. Activities that cause you to be on your poor aching feet for hours upon hours can feel better with some good arch support shoes. When you are home, get a tennis ball and put the ball underneath your foot and rub it around on the floor. You may notice that you don't have to soak your feet so much at the end of the day as long as you slip them into something a little more comfortable during the day. Because foot pain can have so many causes it is very important to have foot pain assessed by a health professional with an expertise in the management of foot pain. I think your website is the most informative site I have found when researching foot pain. I used to work for a podiatrist (front desk) back during summers in college years ago, so I know the benefits of good care. It was so great to get to your site (top of google search) and actually find all the answers I needed EASILY and QUICKLY! I have been experiencing foot pain of various sorts and am working to figure out what it is. I found this site and can only say BRAVO!! The pain finally brought me to the ER. I spent 8 days in the hospital. It can also assist in reducing pain levels. Elderly individuals (can be called geriatric) are susceptible to a number of foot specific conditions Some of these conditions can leave individuals disabled if they are not prevented and/or taken care of. Some of these common foot related conditions include: arthritis, ingrown toenails, fungal nails, diabetic ulcers, and corns/calluses. It is an interesting fact that if you were to go barefoot every day of your life, you would not suffer with feet corns. Go for those, which provide support, cushioning, and enough room for the toes to move. People with flexible flat feet have arches that disappear when they put weight on their feet, but which reappear when the feet are not weight-bearing, or when they go up on their toes. In fact, this reappearance of the arch while the foot is non-weight bearing is really what separates this type of flatfoot from other types. It's as though the arches take toe-standing as a general call of olly-olly-oxen-free: time to come out and tease the seeker about how great your hiding place was. Visit Cure Athlete's Foot In 7 Days. Some common causes of toe pain are arthritis, broken bones, eryhromelagia, gout, ingrown toe nails, joint injuries, raynaud's phenomenon, scelderma, toe sprain, and bunions. Since plantar fascia gets tightened while one is asleep, the sudden movement causes stretching of the ligament as one takes the first few steps. While structural foot abnormalities such as high arches or fallen arches can make one more susceptible to plantar fasciitis, wearing old worn-out shoes can also cause stress to the plantar fascia. Those suffering from plantar fasciitis are also at an increased risk of developing heel spurs. Heel spurs, also known as osteophytes, are abnormal bony outgrowths that may develop along the edges of the heel bone. Heel spurs form when the plantar fascia starts pulling at the heel bone or gets torn due to excessive stress. If the heel spurs start impinging on any of the surrounding nerves or the tissues, one is likely to suffer from pain. Plantar fasciitis and heel spurs surely affect one's ability to move about freely. This is the best way to support the arch of the foot. Pain then sets in and you may need surgery. The best way to prevent risks on the worksite is to dress properly for the type of weather you'll be working in. Work Wear Headquarters ( ) provides top of the line attire for such conditions. The Big Bill Work Wear line provides the outdoor clothes necessary for safe outdoor working conditions. Bunions and hammer toes are the bread and butter of a podiatrist. Pes Cavus is caused by muscle imbalances in the lower leg and foot that draws the front of the foot, or sometimes draws the heel downward, making the arch higher than normal. Foot pain, known as metatarsalgia, usually occurs between the arch and the toe. Being the son of parents counted among the throng of Americans displaced by the Great Depression has given Devin a deep rooted passion for causes dealing with the poor and the working class. Just click here: and then select the orange Connect” button on the left-hand side of the page. Personally, I've had the pain of experiencing a miscarriage and I know how devastating it is. Our very first pregnancy, one that we planned for and wanted so badly, ended in a miscarriage shortly after our very first ultrasound in 2004. We talked to our doctors before trying to get pregnant. Some people don't understand that you can't just get over the death of your child. That pain never goes away, never gets easier to bear, and never subsides. We were fortunate enough to conceive our 2nd child (my 3 1/2 yr old son) just 8 weeks after our miscarriage, but having our son didn't change the fact that our first child wasn't with us anymore. Claw differs are occasionally designated. A clavus is a thickening of the skin due to intermittent pressure and frictional forces. The word clavus has many synonyms and innumerable vernacular terms, some of which are listed in the Table below; these terms describe the related activities that have induced clavus formation. The shape of the hands and feet are important in clavus formation. Specifically, the bony prominences of the metacarpophalangeal and metatarsophalangeal joints often are shaped in such a way as to induce overlying skin friction. Toe deformity, including contractures and claw, hammer, and mallet-shaped toes, may contribute to pathogenesis. First, you had better prepare for a basin of warm water to soak the feet every winter night. A callus is actually a bone problem and a foot mechanics problem, not a skin problem. A foot deformity will cause excess pressure to that area from the shoe or the ground. The body's natural defense mechanism will kick in and start building up the top layer of skin in response to the excess pressure. This is a protective response from the body in an attempt to prevent the pressure from wearing down the skin layers and resulting in an open sore. The problem is that as long as there is pressure, the body will continue to build up the skin. In runners, the most common places for callus buildup are at the inside of the heel, the area around the big toe and the ball of the foot. Calluses can appear on top of the toes or in between the toes. In these cases, the callus tissue is called a corn. The calluses can be thickened, dry, scaly, yellow, red, tender and even flakey. Once the problem is identified, the first step is to treat the cause. Metatarsal pain is a common foot problem. If you want you could add a few drops of olive oil to the water in which you have dunked your feet. The olive oil acts as a soothing agent and smoothens the skin. Using a clean towel, dry your feet well; paying close attention to drying the skin between the toes.